Fences and screens are necessary for providing privacy and security for our homes and families. But they don’t have to be ugly, or take away from your enjoyment of your outdoor space! 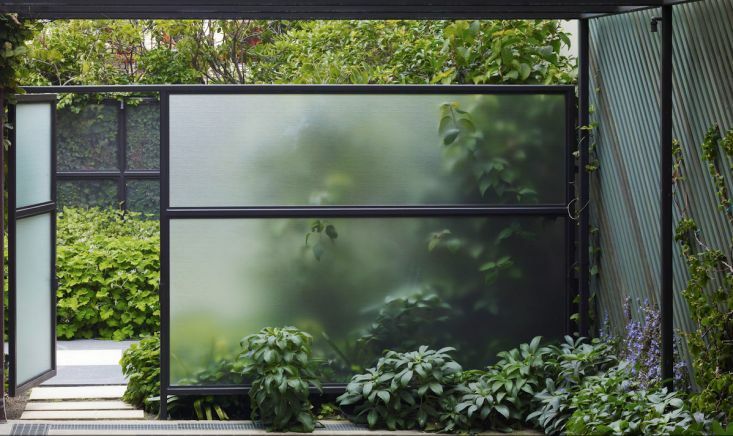 There are many types of fences and screens that are not only beautiful in their own right, but actually enhance your home and garden. 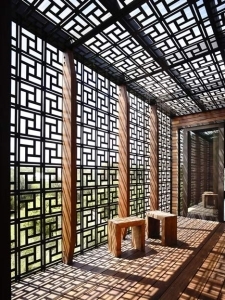 Fences and screens can be made from a wide variety of materials, including woods of different types and hues, rough or refined stone, cast iron or other crafted metals, or even natural materials, like bamboo or willow. Your choice of material and design – traditional, rustic, modern – will create a distinct look that can mirror or complement the style of your home. 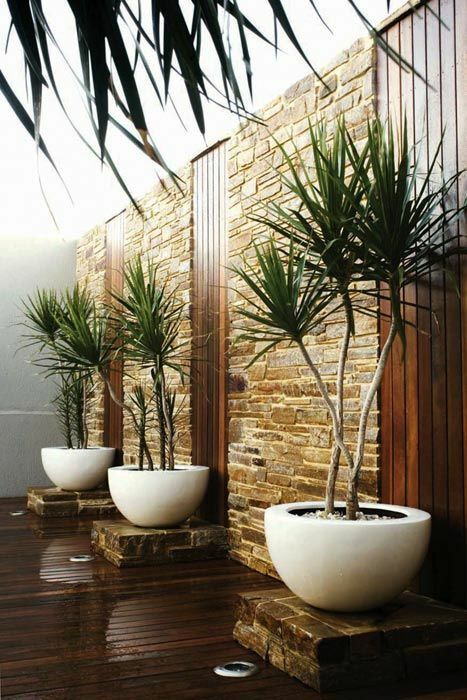 They can be designed to stand alone, or to be covered with vines or climbing plants. 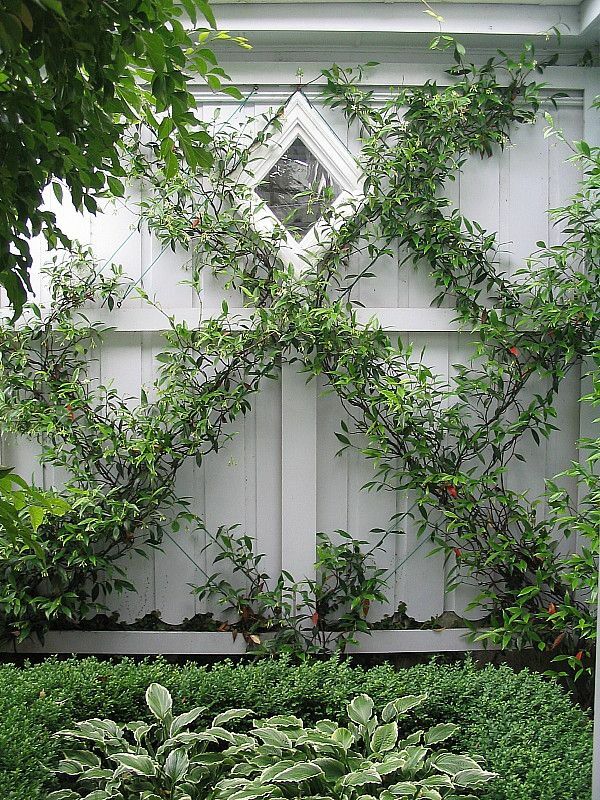 A wall of climbing jasmine is not only lovely, but it brings a beautiful scent to your garden. Or a garden in front of the fence can add color, height and texture. Remember – fences don’t have to be squared – or even straight. And they don’t have to come from a home or garden store. 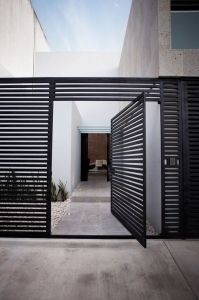 You can design your own fences, and make them as simple or elaborate as you want. 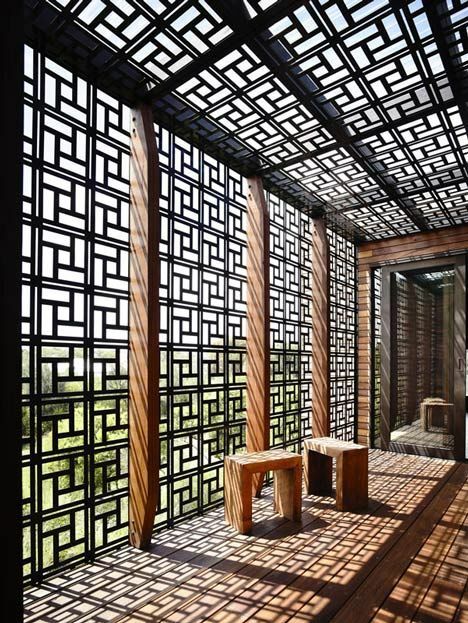 Fences and screens can be art pieces or outdoor sculptures. 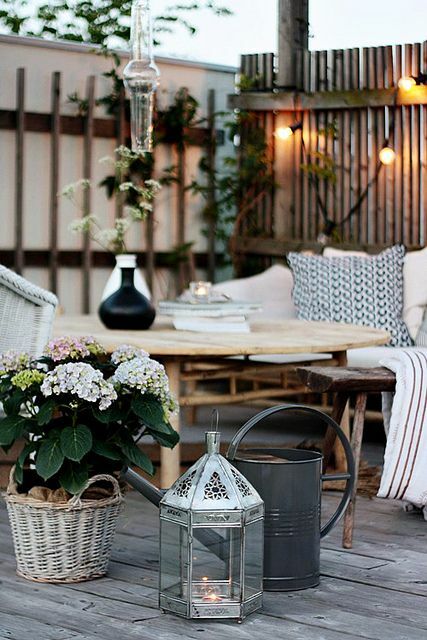 We think of fences as separating our property from our neighbours, but both fences and screens are also used to create distinct areas or outdoor “rooms.” Outdoor areas can be screened off for privacy, to hide trash bins or other unattractive items, or to create zones for specific activities – like playing, eating, reading, or enjoying a peaceful interlude. Don’t forget the gate! 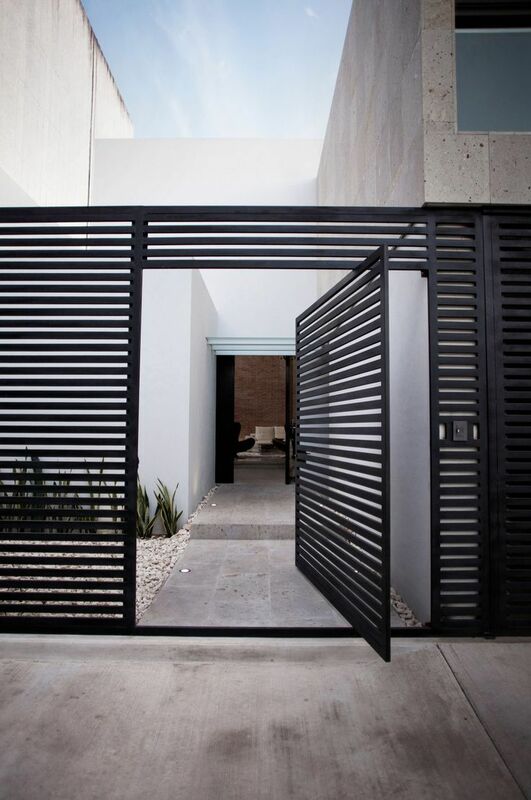 Gates can be designed to blend seamlessly into the fence wall, or to stand out with a distinct door and doorway. Whatever type of fence or screen you choose, a beautiful fence will enhance not only your own property, but will increase your home’s curb appeal, and your neighbours will thank you.